Scrub cucumbers and pack loosely into hot quart jars, leaving ½ inch headspace. For each quart, add dill and mustard seed. Make a brine by combining water, vinegar, and salt, bring to boiling, and pour slowly over cucumbers, leaving ½ inch headspace. Adjust lids and process in boiling water bath for 20 minutes (start timing as soon as jars are placed in water). Follow recipe above, except omit mustard seed, and add 1 clove garlic and 1 piece hot red pepper (optional) to each quart. 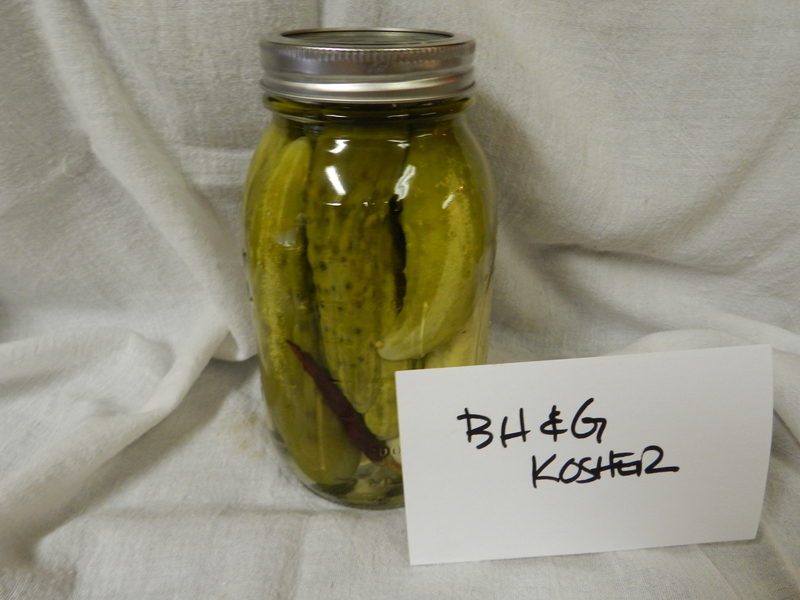 Prepare brine using same proportions of water, white vinegar, and pickling salt. Proceed as directed.